Nusa Lembongan is an island located southeast of Bali, Indonesia. 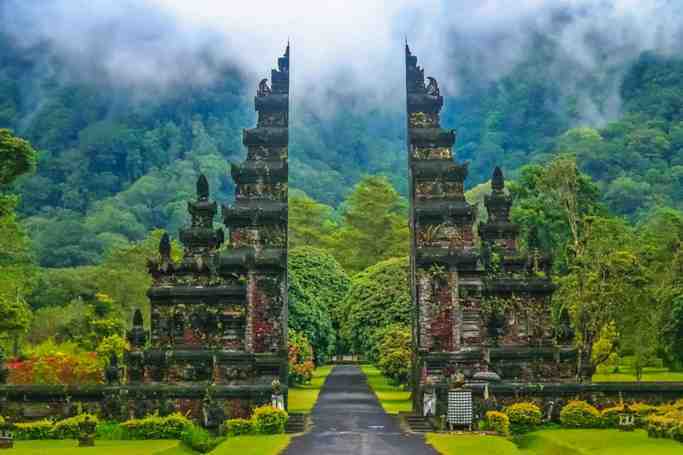 It is part of a group of three islands that make up the Nusa Penida district, of which it is the most famous. This island group in turn is part of the Lesser Sunda Islands. Nusa Lembongan is approximately 8 square kilometres in size with a permanent population estimated at 5,000. Twelve kilometres of the Badung Strait separates Nusa Lembongan from Bali Island. The island is surrounded by coral reefs with white sand beaches and low limestone cliffs. Nusa Lembongan is separated from Nusa Ceningan by a shallow estuarine channel which is difficult to navigate at low tide. There is a suspension bridge linking Nusa Lembongan and Nusa Ceningan and this takes foot and motorbike traffic only. There are no permanent waterways on Nusa Lembongan. There are three main villages on the island. Jungut Batu and Mushroom Bay are the centres of the tourist-based industry and activities on the island whilst much of the permanent local population resides in Lembongan Village. 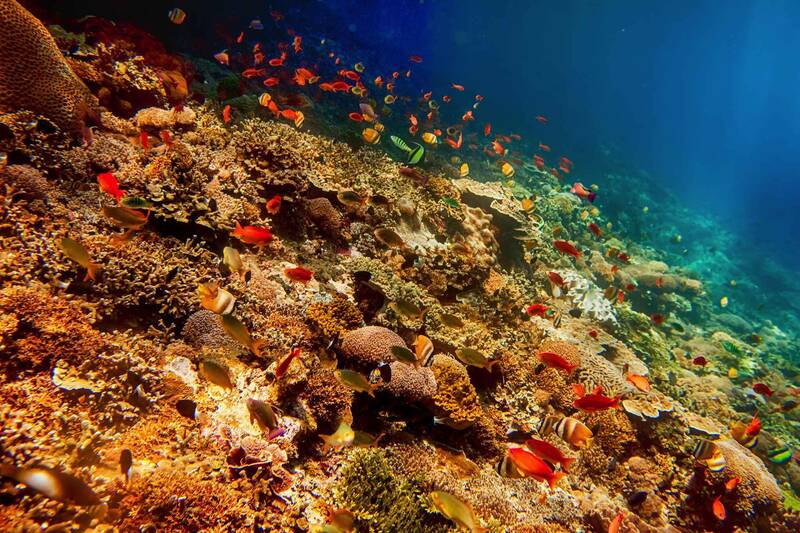 To the east, the Lombok Strait separates the three islands from Lombok, and marks the biogeographical division between the fauna of the Indomalayan ecozone and the distinctly different fauna of Australasia. The transition is known as the Wallace Line, named after Alfred Russel Wallace, who first proposed a transition zone between these two major biomes. The north-eastern side of the island is flanked by a relatively large area of mangroves totalling some 212 hectares. 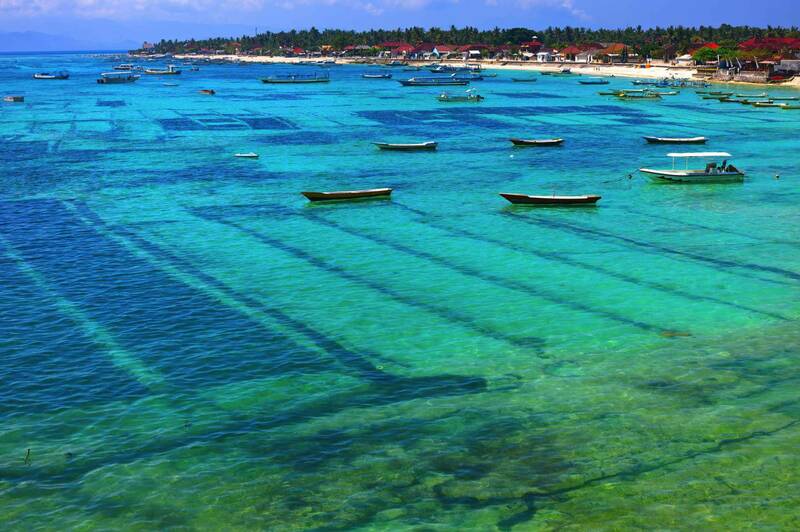 Nusa Lembongan is reached by regular direct speed-boat services, mostly from the east-coast Bali resort town of Sanur. Crossing time is approximately 30 minutes and services run at regular intervals during daylight hours. Larger cargo boats also run daily from the Bali port town of Padang Bai. Nusa Lembongan | eTips Inc.